WE WANTED TO LET YOU KNOW THAT WE HAVE RECEIVED EACH AND EVERY EMAIL, TEXT AND VOICEMAIL that you have sent today regarding this matter. Please understand that we NEVER imagined that this issue would create such a groundswell of support. Just understand that our team is working on responding to you ASAP. We are working day and night to answer your messages. Also remember that we will never betray your trust. EVERYTHING you send to us is confidential. If you are also in the media, and have reached out to us, we will reply asap. We understand you are on deadline. If you are NATIONAL, call me personally. If you cover the Las Vegas Market, we will get with you when we can. BOOKINGS@MYCOLLECTOR.COM FOR THE NEXT AVAILABLE DATE! WE OFFER A 50% DISCOUNT FOR ADDITIONAL PROGRAMS BOOKED FOR THE SAME DAY AT THE SAME CONFERENCE. FOR EXAMPLE, THE FIRST PROGRAM IS CONTRACTED AT FULL PRICE AND EVERY ADDITIONAL PROGRAM IS CONTRACTED AT HALF PRICE. WE OFFER A 25% DISCOUNT FOR ADDITIONAL PROGRAMS BOOKED BY THE SAME CLIENT/SPONSOR. FOR EXAMPLE, THE FIRST PROGRAM IS CONTRACTED AT FULL PRICE AND EVERY ADDITIONAL PROGRAM IS CONTRACTED WITH OUR 25% MULTIPLE BOOKING DISCOUNT. NOTE: THIS DISCOUNT IS APPLICABLE ONLY IF THE CONTRACTS ARE ISSUED SIMULTANEOUSLY. IN ORDER TO CREATE EXCITEMENT AND AWARENESS OF MR. PAISOLA’S APPEARANCE AT YOUR EVENT, HE IS HAPPY TO FULFILL MEDIA REQUESTS WHEN HIS SCHEDULE ALLOWS. PRE-RECORDED INTERVIEWS ARE PREFERRED OVER LIVE INTERVIEWS. TRAVEL EXPENSES ARE IN ADDITION TO THE SPEAKING FEE. TRAVEL EXPENSES INCLUDE FIRST-CLASS AIRFARE, UP TO 2 NIGHT’S HOTEL ACCOMMODATIONS (BEFORE AND AFTER THE EVENT) (KING, NON-SMOKING, GUARANTEED LATE ARRIVAL), MEALS AND GROUND TRANSPORTATION IN HOST CITY. A $75 PER DIEM IS ALSO CHARGED TO COVER GROUND TRANSPORTATION IN HOME TOWN, TIPS, AND MEALS WHILE TRAVELING. TO REDUCE MR. PAISOLA’S OUT OF POCKET EXPENSES, WE REQUEST THAT HOTEL ROOM CHARGES BE BILLED DIRECTLY TO THE ORGANIZATION’S MASTER ACCOUNT. WHEN MR. PAISOLA’S SCHEDULE INCLUDES MORE THAN ONE PROGRAM ON THE SAME TOUR, AIRFARE EXPENSES ARE PRORATED. IF YOU HAVE SPECIFIC DATES IN MIND FOR YOUR MEETING, WE’RE MORE THAN HAPPY TO HOLD A DATE FOR YOU. THIS HOLD CAN BE PLACED ON OUR CALENDAR FOR UP TO 30 DAYS. IF ANOTHER CLIENT REQUESTS THE DATES YOU ARE HOLDING, YOU WILL BE NOTIFIED BY PHONE AND GIVEN 48 HOURS TO MAKE YOUR DECISION EITHER TO GO TO CONTRACT OR RELEASE THE DATES. TO SECURE THE DATE, A PROGRAM AGREEMENT WILL BE ISSUED. THIS AGREEMENT IS TO BE EXECUTED AND RETURNED WITHIN TWO WEEKS AND REQUIRES A 50% DEPOSIT. THE REMAINING 50% BALANCE IS DUE TWO WEEKS PRIOR TO THE APPEARANCE. “THIS WAS BY FAR THE BEST CLASS THAT I HAVE EVER ATTENDED. “WELL PRESENTED, CLEAR, CONCISE. EXCELLENT PACING AND DELIVERY. POWERFULLY PACKED WITH QUALITY INFORMATION. A FANTASTIC SEMINAR MINUTES THAT WILL MAKE ME THOUSANDS OF DOLLARS IN COMMISSIONS! UPDATE- WE ARE LOOKING FOR TEN PEOPLE WHO HAVE BEEN ABUSED BY NICKLIN MANAGEMENT AND JAMA SACCO AND HER MINIONS, AS WELL AS STEVEN NICKLIN. 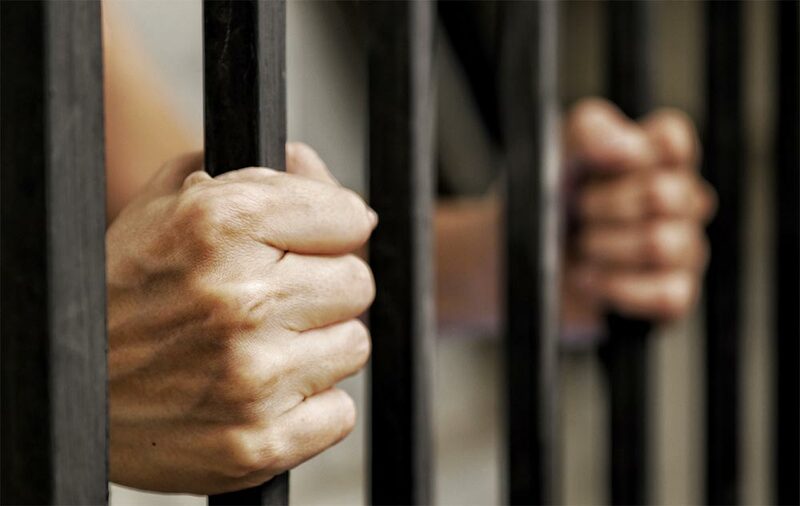 IF YOU HAVE RECEIVED BOGUS FINE NOTICES, WITNESSED ANY FRAUD, OR HAD YOUR LIFE DESTROYED BY THIS COMPANY, EMAIL US NOW AT investigations@wcilaw.com. INCLUDE ALL DOCUMENTS. WE WILL INTERVIEW YOU ON CAMERA FOR A STORY WE ARE DOING FOR ABC NEWS... IF YOU WORKED INSIDE NICKLIN PROPERTY MANAGEMENT, HAVE WITHESSED THE REVIEWS, SEEN THE DESTRUCTION THAT THIS COMPANY CAUSES OR CAN DOCUMENT FRAUD BY NICKLN ON CAMERA, WE WILL PAY YOU 1000.00 CASH FOR YOUR STORY. WARNING.. WE CAN NOT BE BOUGHT OFF, WE CAN NOT BE BRIBED, WE CAN NOT BE CENSORED. WE LOVE LITIGATION... BECAUSE WE NEVER EVER SETTLE AND WE TAKE YOU TO DISCOVERY AND LET THE AMERICAN PUBLIC SEE EVERYTHING. 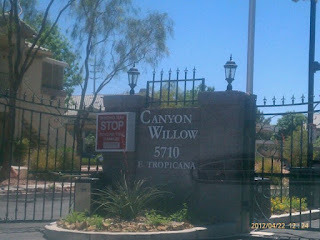 DISCLOSURE, WE HAVE NOTHING TO SAY ABOUT CANYON WILLOW TROPICANA, BUT IF YOU WANT TO STAY INFORMED, SUBSCRIBE TO THIS BLOG. I just finished a very productive meeting with the Board of Directors of Canyon Willow Condominiums In Las Vegas. During the meeting it was discussed that there may be a question as to WHO Canyoun Willow is, and Who Nicklin Property Management is. There is also Another Canyon Willow in Las Vegas. This is not the subject of this blog. Next, we have Nicklin Property Management, they are a company owned by Steven A Nicklin, who represents many Homeowners Associations. They are online at www.NicklinPM.Com. You will notice that we own www.NicklinPM.org , www.NicklinPM.net and www.nicklinPM.Info. THIS IS THE COMPANY THAT WE ARE CONCERNED WITH. Today’s meeting with the Board of Directors was sealed. We are completely on board with the new Canyon Willow Vision and the Current Board of Directors. Was are not on board with NICKLIN PROPERTY MANAGEMENT, who is being paid by Canyon Willow to represent the complex. Our posts will now relate to the issue with Nicklin Property Management. If you are a homeowner or renter at Canyon Willow and have received a letter from Nicklin Property Management, please send us a copy of the letter with your story to investigations@mycollector.com and we will contact you. There was an open meeting that was held at Cannon Willow, 5710 E Tropicana, Las Vegas NV 89122. The meeting was conducted by Bill and Ned, in their official capacity as the two newest members of the CANYON WILLOW HOA Association. The meeting is being presented for your review, uncut, unedited and without interruption. The meeting lasted 1:50:13. This audio track is a little shorter. We are now uploading the contents of the first segment and will re-load the full file later today. This broadcast makes no inference as to the attitude of this member of the community, and no names are mentioned, unless mentioned during the meeting. Sit back, let the file load, and listen.... There is no better way to understand what is going on In The Canyon Willow Law Community, unless you hear this. All opinions that are expressed are not the opinions of The UNLV Boyd School of Law or The Western Capital Foundation. This may not be reproduced without direct written authorization from the author, via this site. Here we go. SIMPLY CLICK THE LINK BELOW TO HEAR THE AUDIO YOU MUST BE A MEMBER OF THE GROUP TO HEAR THE AUDIO. JOIN NOW AND LISTEN. What is going on at Canyon Willow and Nicklin Management? First of all, we want to welcome you to this forum. 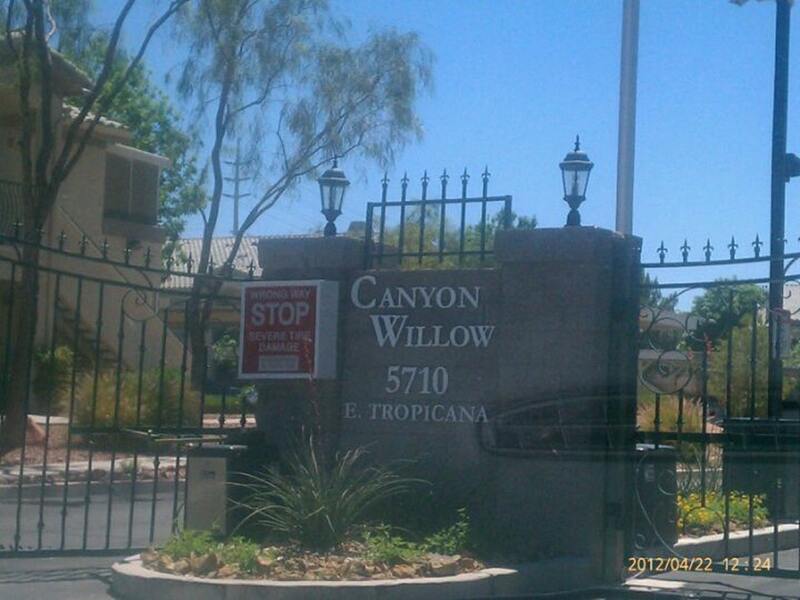 The purpose of this blog is to keep all interested parties and the National Media up date on all of the matters that are happening at Canyon Willow Las Vegas, 5710 East Tropicana, Las Vegas NV 89122. This has been a work in progress, and we have spent hundreds of hours interviewing residents,owners, tenants,attorneys, members of the board and the media. The fact is that there are a lot of things that this blog will bring to your attention, so we ask you to subscribe to this site for constant updates. Before we get started, we want to take you back to a meeting that took place last year. Take a moment and listen to this entire recording. This will give you a background of what we as a team were facing, when this matter came to light. This is an Audio File on our National Media Servers... Click And Listen NOW!